Photos and words by SCOUT HINCHCLIFFE. “Don’t go chasing waterfalls, please stick to the rivers and the lakes that you’re used to.” The unforgettable chorus line from the 90’s hit by the badass, yet goddess-like girl band TLC. With our waterproof boots and sandals in tow and fifteen well-known waterfalls and more to be explored in 5 neighbouring National Parks, it only seemed right to do nothing but chase waterfalls along the aptly named Waterfall Way. "The 185-kilometre scenic route winds through lush rainforests and woodlands from Coffs Harbour through to Armidale, NSW." 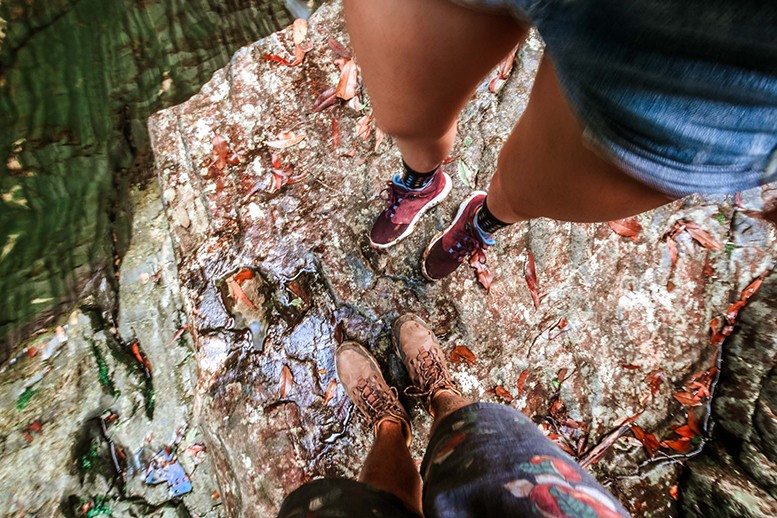 As we only had two days to spare we did not get to chase every waterfall but, being the ultimate binge-explorers we are, we found ourselves completely immersed amid the magical, ever-changing landscape. Driving inland off the New England Highway, Ebor Falls was the first pit stop along Waterfall Way. This 115-metre cascade on the Guy Fawkes River left us in awe. The water gushing over the columned basalt rock was a force of nature; both beautiful and brutal. Staring down at the falls from the lookout platform was a teasing site and it was not long before we were scoping out a trail down to the river and rock hopping our way around the bottom of the falls. 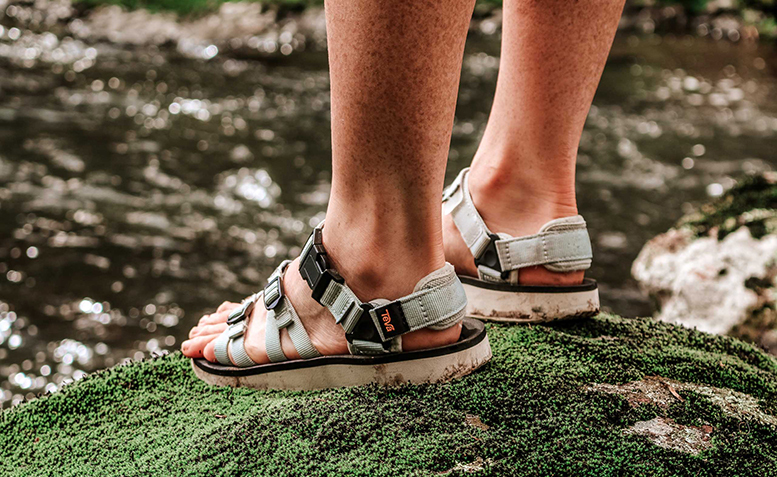 Shop the WOMEN'S ARROWOOD WATERPROOF. Shop the MEN'S ARROWOOD LUX MID WATERPROOF. Fifteen minutes north west of the Bellingen town hub is an area known as the Promised Land. Following Promised Land Road around in a loop, we found the purest watering holes that were perfect for a morning refresher. Shaded by moss covered trees, the flowing crystal-clear water was absolutely freezing and even though it felt like the life was being sucked out of us it was very revitalising. "The tranquil Promised Land brought an uplifting feeling. It was an area for us to connect with nature. It was a place for us to relax, daydream and dive into its uniqueness." Shop the WOMEN'S ALP PREMIER. 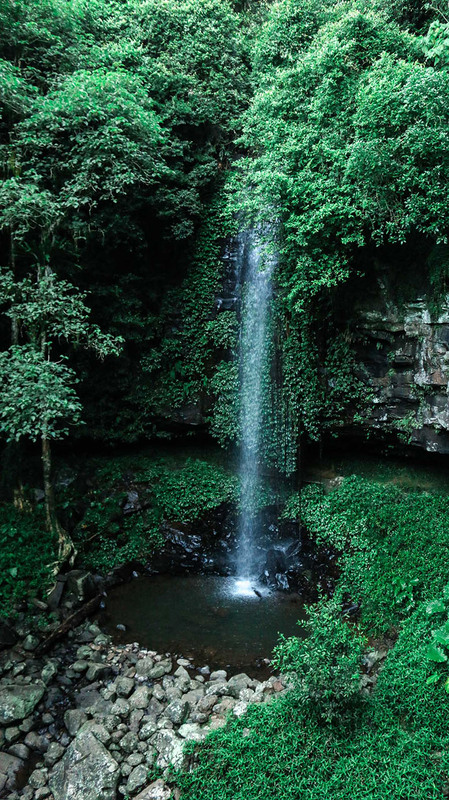 Two kilometres along Dome Road off Waterfall Way is the Dorrigo Rainforest Centre, which is the hub of the National Park. From the centre, we set off on the Wonga Walk; a paved 6.6 kilometre circuit through the ancient yet lush rainforest that boasts the spectacular Crystal Shower Falls and Tristania Falls. We finished the circuit off with a bang and marveled at the sunset hues over the rainforest canopy from the Skywalk. 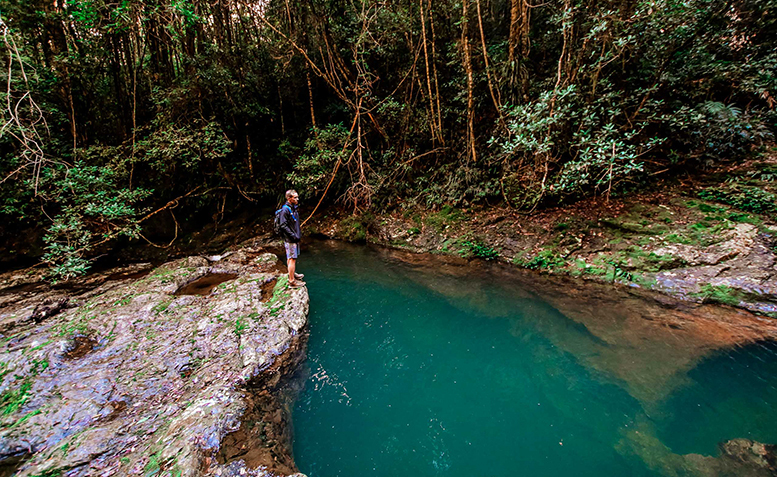 For a more tucked away alternative in Dorrigo National Park, continue past the Rainforest Centre and along Dome Road for ten kilometres before ending up at the Never Never Picnic Area. "Here, sparkling secluded creeks and waterfalls wind their merry way through the forest like a liquid soul and chords of soft light spear down through the canopy, piercing the jade coloured waters." There are four circuits to choose from, all beginning from the picnic area and unlike the bustling hub and paved paths, we did not have to share the slippery, muddy trails or waterfalls with anyone apart from a few hitch-hiking leeches. 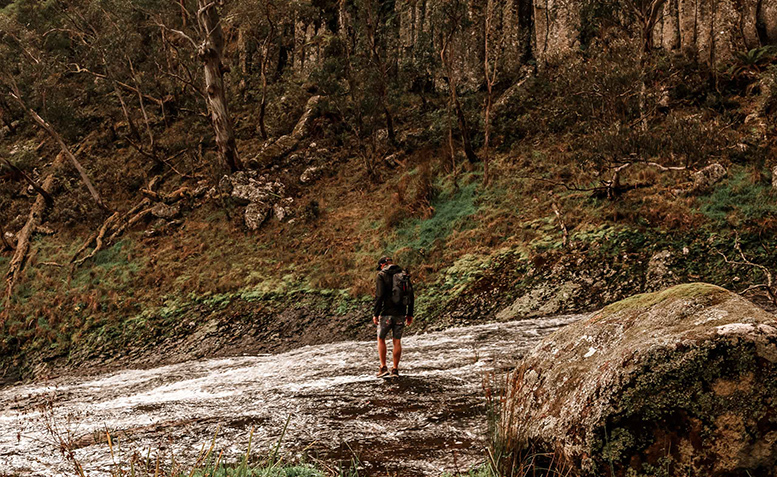 For anyone inclined to do some further off-track exploring we have a little hot tip for you - from Coachwood Falls, along the Rosewood Creek circuit, find the foot padding that leads to a sandy patch on the creek bed and then continue to follow the creek upstream. Although we did not do so, we could see from the trail, high up on the bank that there were mini gorges and more waterfalls waiting to be explored. After a big day of chasing waterfalls we were on the hunt for a place to set up camp. At the foot of the Dorrigo plateau and set on the banks of the Bellingen River in Thora, we stumbled across Rose’s Park. The beautiful big grassy area and the scattered amber red leaves of autumn around the fire pits and picnic tables made for an ideal free camping spot. Not only is Waterfall Way flanked with waterfalls and streams it has an array of roadside stalls. Rose’s Fruit Stall was one that we could not drive past, especially seeing as she did not let us down the night before. Orange trees lined the driveway to a tin shed that was flaunting the freshest fruit, natural honey, macadamia nut spread and macadamia nut oil. Of course we could not resist emptying the van’s coin tray and stocking up on it all. 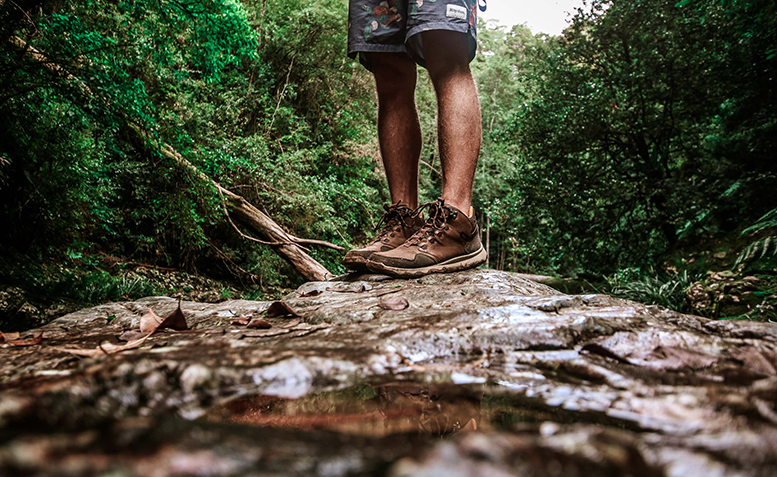 We could have easily spent a month exploring the rolling green pastures of the Dorrigo plateau and down through the magical Bellingen Valley. So, what are you waiting for? Don't just stick to the rivers, chase the waterfalls along Waterfall Way (sorry TLC). 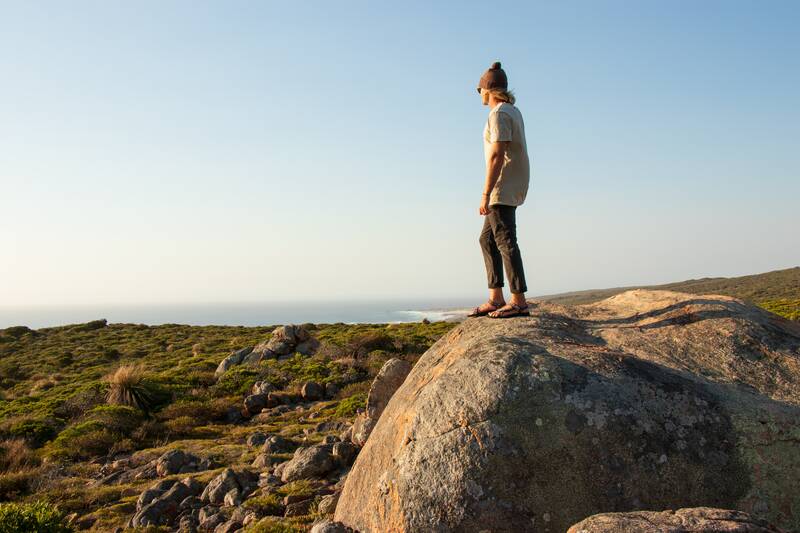 Find more from Scout Hinchcliffe at www.saltysummits.com.au.